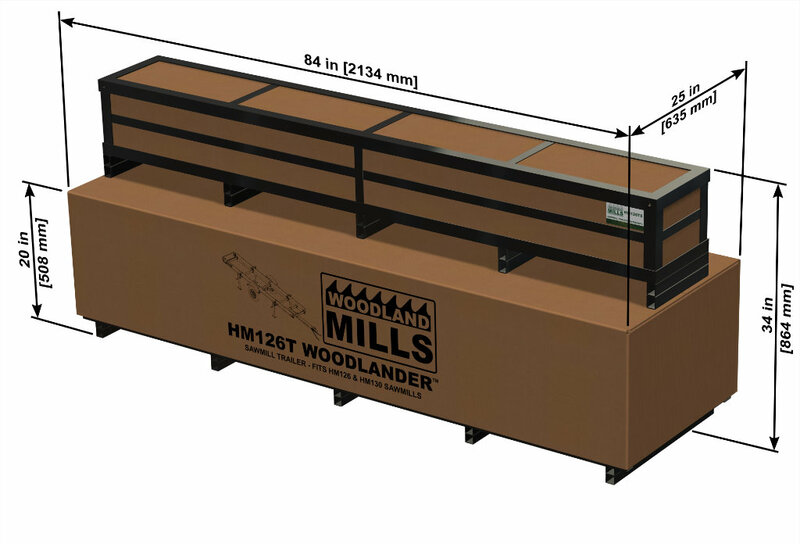 The Woodland Mills Woodlander XL trailer package can be combined with either of our popular HM126 & HM130 sawmills, making the sawmill a truly versatile and portable sawmill. 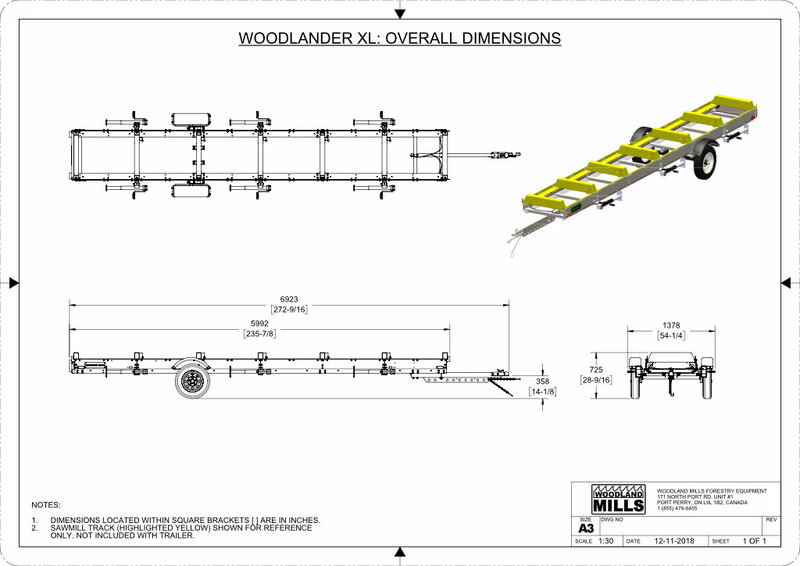 The Woodlander trailer package is a well built and economical solution for sawyers looking for the right combination of mobility and setup efficiency. 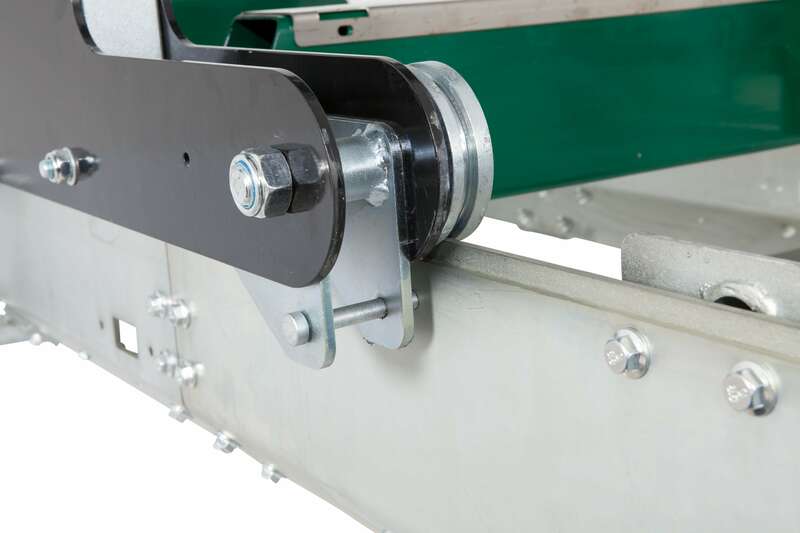 The trailer was designed to fit all 2017 and newer HM126 & HM130 sawmills. 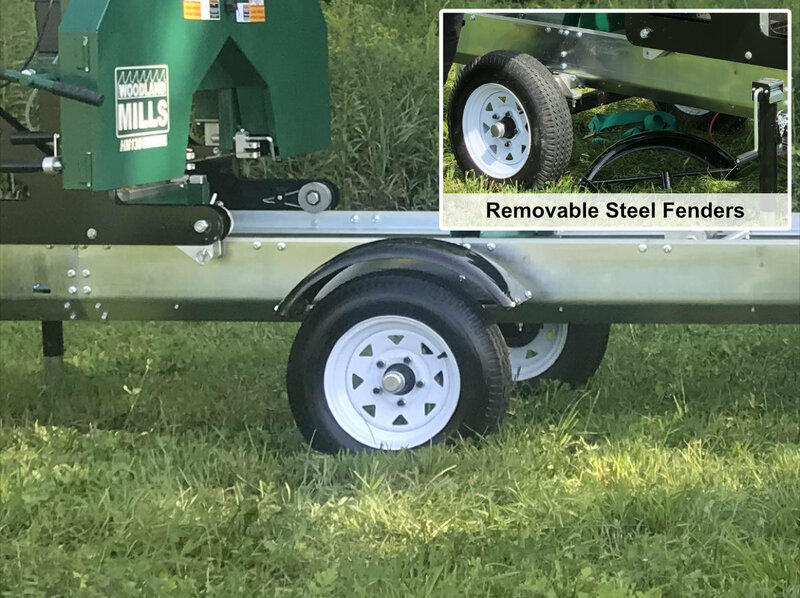 Constructed with laser cut bent plates and tubular cross supports, the chassis becomes quite rigid as it unites with the sawmill track system to complete a box style structured chassis. 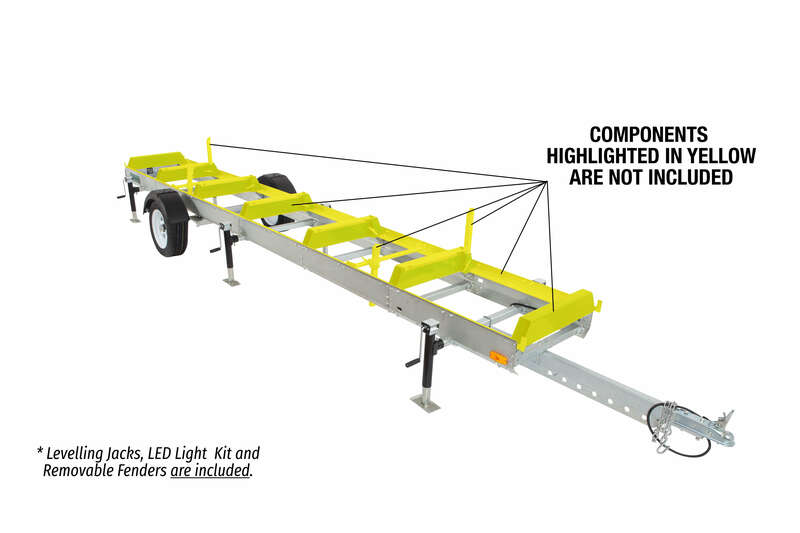 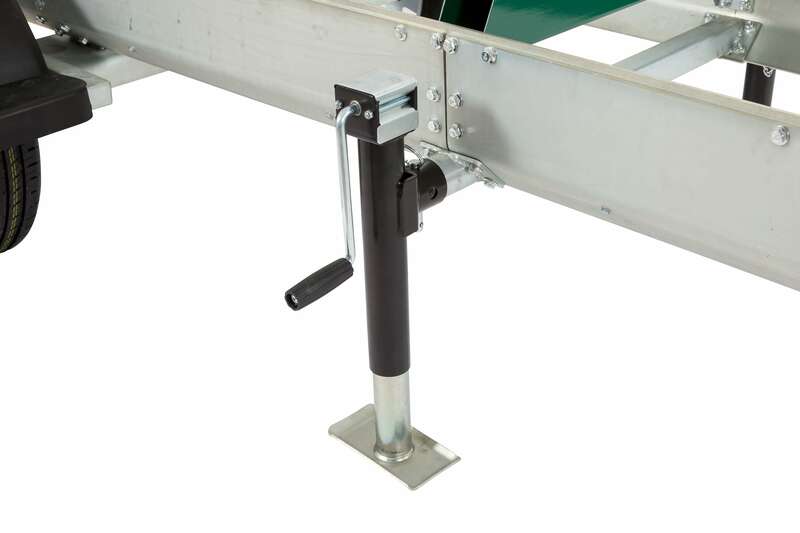 Note: Sawmill track assembly components (highlighted in yellow) are not included with this trailer. 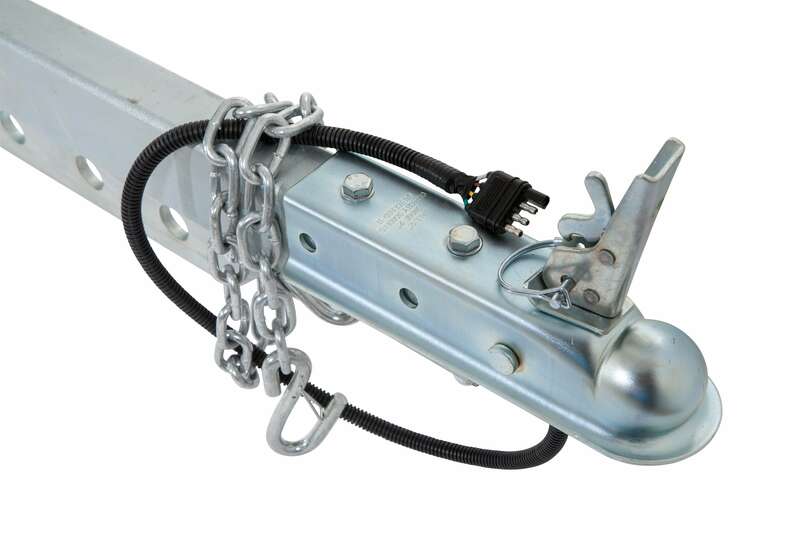 Instead, you will need to attach these parts from your existing 2017 or newer HM126 or HM130 sawmill to the trailer frame. 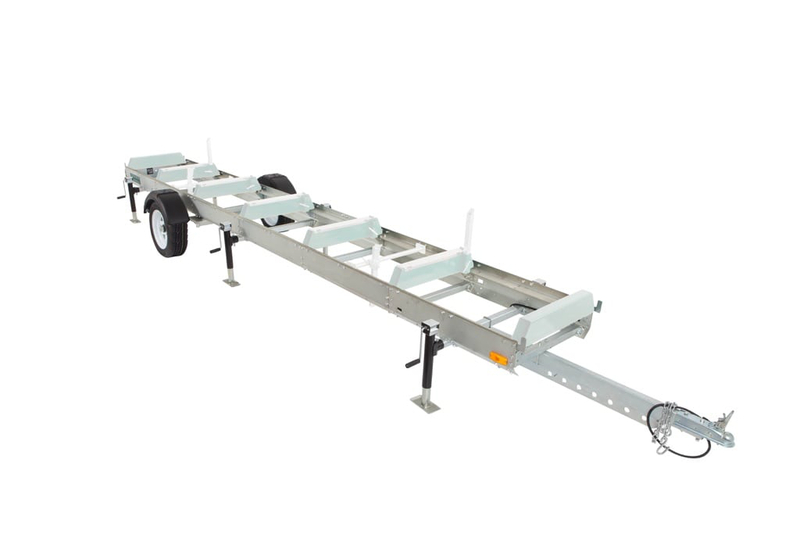 The trailer chassis rests on a pair of rubber torsional axles with a combined load capacity of 2,000 lbs (900kgs). 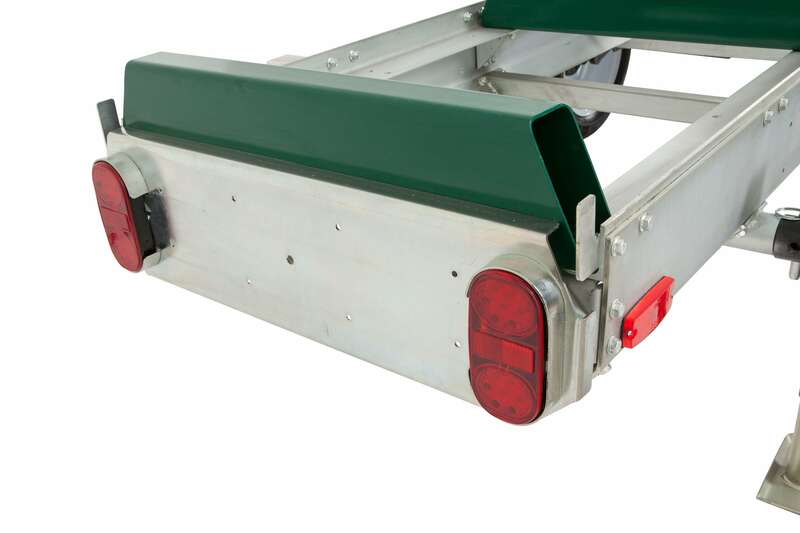 The hubs are a 5 bolt on 4.5” (114mm) and the tires are DOT approved 195/60/14 tires.